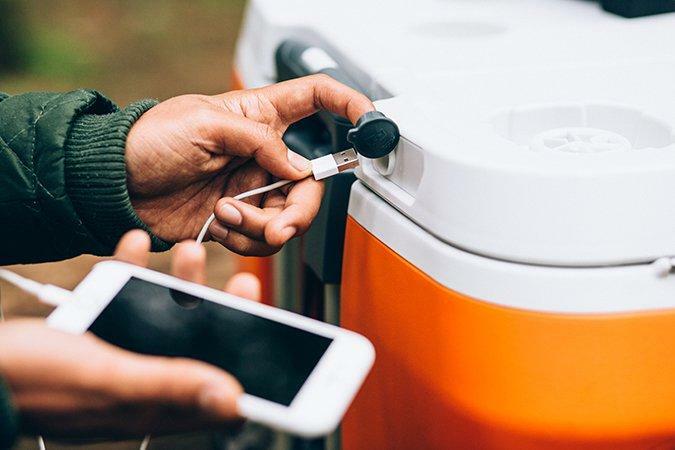 There's a built-in modular battery that charges a bunch of things. There's an LED lid light that will help you find your favorite beverage during evening tailgating sessions and parties. There's a USB port to charge your iPhone or other gadgets, including the included portable Bluetooth speaker. You can even pair a couple of them for stereo sound thanks to their "Party Pairing" feature. Amazingly, the "Classic" version has a built-in blender that can mix drinks on-the-spot! If you prefer bottled beverages, you will appreciate the included bottle opener. I even found a portable corkscrew knife in the accessory area and a sharp knife and plastic plates under the lid! Heck, there's a divider that can be removed and used as a cutting board. The more I play with this thing, the more appreciation I have for the extra touches. Finally the whole thing can be wheeled around easily, just like a nice piece of luggage. 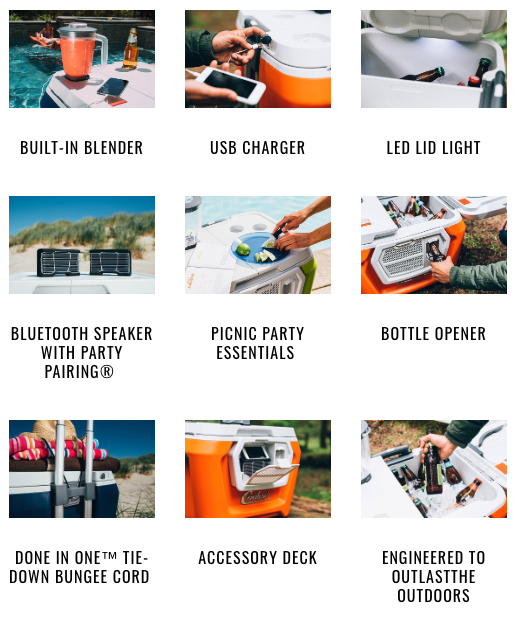 The Coolest Cooler lives up to its ambitious name, albeit at a high-end price.